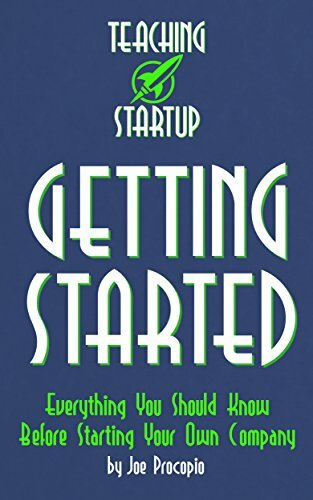 Teaching Startup: Getting Started is a quick, easy-to-understand, comprehensive guide that walks you through everything you should know before you start your own company. It’s for anyone, from middle school to middle age, from novice to seasoned small business owner. There are 10 chapters in the book, split into Five Stages of Startup and Five Roles of Startup. Vision –Founding, Leadership, Management, Product, Future. Build — Design, Engineer, Perform, Deliver, Support. Sales — Salespeople, Marketing, Business Development, Public Relations. Operations — Human Resources, Finance, Legal, Administration. Growth — Investor, Advisor, Mentor, Service Provider, Community. 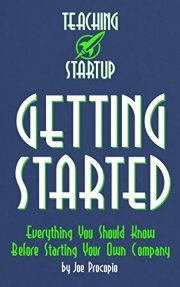 If you’ve never done startup before, this short, light, jargon-free read will get you started. If you’ve done startup all your life, you may learn a thing or two as well. Teaching Startup is an educational network that delivers entrepreneurial mentoring at scale and in a unique, easily-consumable manner, to people of all ages and backgrounds. Using quality, tested content and an unstructured learning framework, Teaching Startup creates valuable new paths for anyone, regardless of experience, connections, or access, to embark on an entrepreneurial career. In short, Teaching Startup builds great entrepreneurs. Joe Procopio is the founder of Teaching Startup and a 20-year serial entrepreneur. His most recent exit is Automated Insights, an automated content startup that raised $11.5 million before being acquired by by Vista Equity Partners at an amazing return. While that was going on, Joe started and sold startup network ExitEvent, which he built in his spare time over three years.